Domus Julia is an hospitable Guesthouse in the historical center of Rome in a '700 building totally restructured. 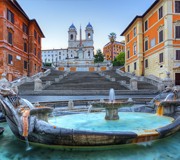 Its excellent location in the heart of the city between Trevi Fountain, Spanish Steps, Piazza Barberini and Via Veneto, overlooking a small street silently adjoining the presidential palace, makes Domus Julia Guesthouse the perfect place to spend a pleasant stay in Rome. Domus Julia is composed of two apartments both accessible by elevator and composed of a living room with kitchenette, a suite for 3/4 persons with style furnish and two doubles. 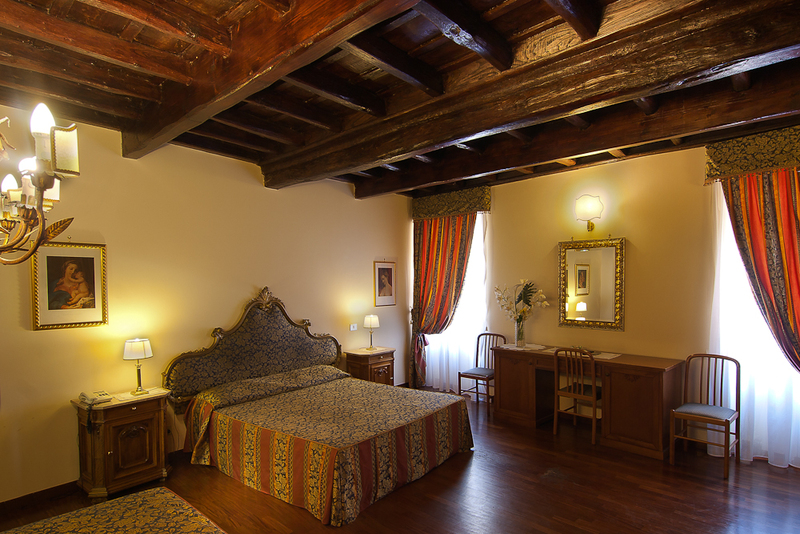 The rooms, furnished with an elegant and luxurious wooden ceilings and wooden floors, offer the most modern standards. Each room has a private bathroom with quality fittings, air conditioning, TV color satellite, internet Wi-Fi, direct dial telephone and safe. All rooms are equipped with sprinkler and emergency lighting. 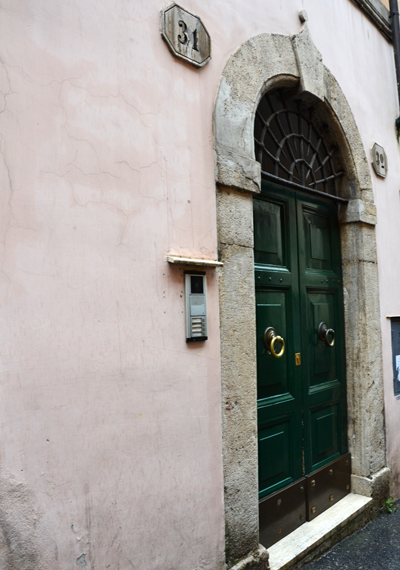 Reception, bar and internet point are available at Hotel Julia Via Rasella 29 (Address before the B & B). 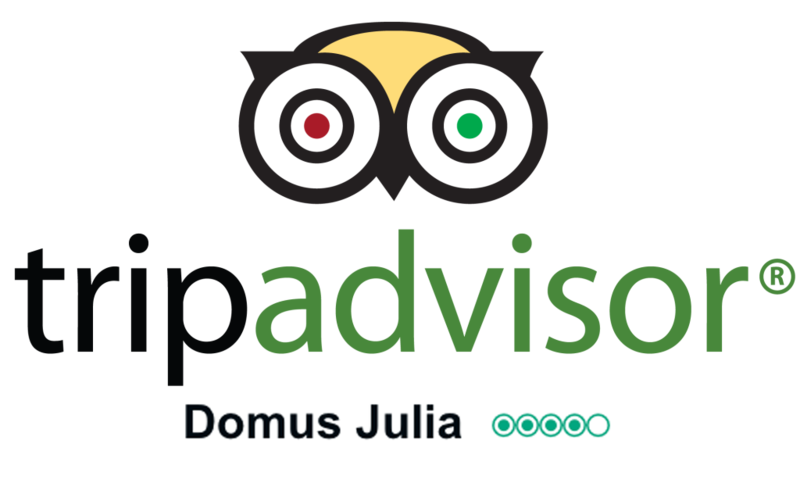 Romantic and quiet, the Lodging Domus Julia staff is attentive and courteous. Those arriving by car may take advantage of a large private parking lot near the Guesthouse. You can also take advantage of a motorcycle covered parking garage right in front of Domus Julia at a cost of 8 euros. For those traveling by air the Inns Domus Julia provides a shuttle service to and from Fiumicino Airport (Leonardo da Vinci). Among the services it is possible to book pick-up and from the airport and the port of Civitavecchia and book tours. A comprehensive transport network of bus and Metro provides rapid transfers to all directions in Rome. Near Domus, in the historic center, you will also find a wide choice of restaurants for lovers of Italian cuisine, as well as international restaurants. "I stayed here for a few days and it was a good stay. 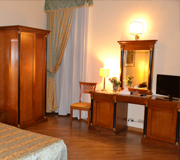 It is conveniently located down the street from the Barberini train station and not far from the Trevi fountain." The Domus Julia offers easy access to major historical and cultural attractions of Rome. The proximity to monuments, public transport, restaurants, pubs and the most important shopping streets, make your stay even more memorable. 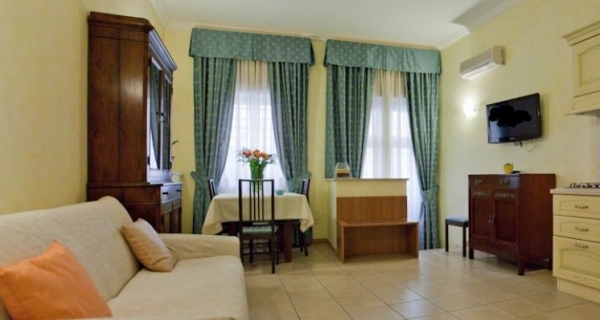 Located in the historic center of Rome between Trevi Fountain, Spanish Steps, Piazza Barberini and the famous Via Veneto, the three star Hotel Julia offers its guests a pleasant and peaceful stay.